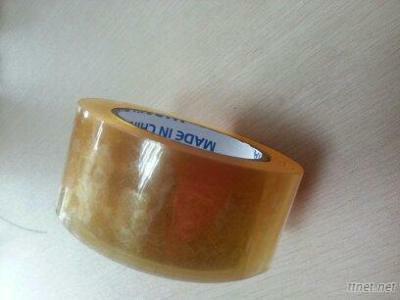 it is usually Yellow-Clear natural color, also can do printing-color kind tape. 50mic is usual thickness, also can do 65mic for Japan and USA, Canada. Natural rubber adhesive BOPP Tape, it is made from BOPP Film as backing material, and been coated with rubber adhesive. Strong adhesion and environment-friendly kind BOPP Tape. Packaging & Paper, Adhesive Tapes, Adhesive Tapes/n.e.s.